There’s a big costume party coming up and you have no clue who to dress up as to the party? Fret not for here’s a list of 10 famous people from Mexico City that will inspire your next trend setting look! Who are some famous people from mexico? A well known Mexican soccer player, Javier plays at the English Premier League power club Manchester United. As the first Mexican player to join the club, Javier made his debut in the English Premier League in July 2010. He has represented his home country in numerous soccer games, including the 2010 and 2014 FIFA World Cup, as well as the 2011 CONCACAF Gold Cup. He scored a total of 7 goals in the Gold Cup and was named the most valuable player of the tournament. In the Mexican national team, Javier is also ranked as the third highest goalscorer of all time. Fun fact: Javier’s jerseys are all printed with his nickname, Chicharito, which stands for little pea in Spanish! A Mexican national since 2005, Guillermo made his first career debut in 2004 for club América during a match against Monterrey at the tender age of 18. 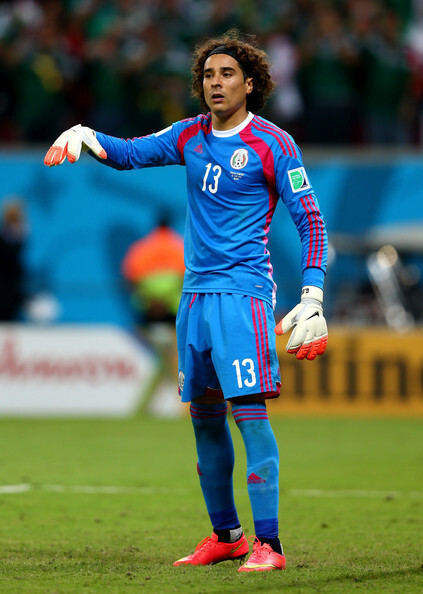 He was the Mexico national team’s starting goalkeeper in the 2014 FIFA World Cup and was chosen twice as man of the match. He shot to fame during the 2014 FIFA World Cup where during the 2nd group stage match against Brazil, he made 4 saves that helped secure a tie between the two nations. His phenomenal saves earned him praise from many, including Luiz Felipe Scolari, the head coach of the Brazil national team. Fun fact: After his performance at the 2014 FIFA World Cup, a picture of Guillermo with 6 fingers on his right hands has been making the rounds on the internet. That is, in fact, a hoax. As with Guillermo, Raúl made his career debut playing for club América. In the 2012 Summer Olympics, he was part of the Mexican national squad who defeated Brazil 2-1 in the finals and walked home with a gold medal. Raúl helped propel Mexico into the 2014 FIFA World Cup by scoring the tie breaking goal against Panama, with the goal being voted as the best goal of 2013 by CONCACAF. His first appearance in the La Liga was on 25th August for the power club Atlético Madrid, which signed the young player for €11 million. Fun fact: Raúl was only 20 when he first debut in the first division for club América. Just two years later, he won his first league championship and an Olympic gold medal! A prominent actress hailing from Mexico, Salma moved to Los Angeles in 1991 to be an understudy to Stella Adler, an acclaimed acting teacher who founded the Stella Adler Studio of Acting in New York and Los Angeles. Besides Salma, the alumni of the school in Los Angeles included Mark Ruffalo and Sean Astin, among many others. Among her many works include Frida, co-produced by Salma and in which she stars as Frida Kahlo. The film earned her a nomination for the Best Actress category in the Academy awards. Fun fact: Salma actually has dyslexia! It is due to the condition that Salma has a limited fluency in English. The actress who shot to fame after winning a Academy Award for Best Supporting Actress, Lupita’s role in 12 Years A Slave was actually her first feature film role. A Kenyan who was born in Mexico, she moved to the United States to study and graduated in 2012 with a master’s degree in acting from the Yale School of Drama. She is also the first Kenyan and Mexican to win an Academy Award. Fun fact: Lupita is fluent in four languages-Spanish, English, Swahili and Luo! Sara, who is best known for her role on Grey’s Anatomy as Dr. Callie Torres, is a singer-songwriter and actress from Mexico. She has won numerous awards for her work, the most prominent being the Screen Actors Guild Award for Outstanding Performance by an Ensemble in a Drama Series . Fun fact: The actress started her career as a Broadway singer and has won a Tony Award for her role in Monty Python’s Spamalot! A singer-songwriter who is also an actress, published author and entrepreneur, Thalía is commonly recognized as the most successful female solo Mexican artist. Often referred to as the “Queen of Latin Pop”, she has sold over 40 million records worldwide, and is considered one of the best-selling Latin musician of all times. Other than her achievements in music, she is also an accomplished actress, having starred in a variety of telenovelas which have aired in over 180 countries. Fun fact: In addition to her work as an artiste, Thalía is also a humanitarian who was awarded the “Your Voice Inspires Many” award by the Lyme Research Alliance in 2013. Carlos and his band, Santanna, were the pioneers of a fusion of rock and Latin American music. His style of music is unique, featuring blues-based guitar lines against Latin and African percussion instruments such as congas and timbales, which were not commonly heard in rock music. In 2003, he was on the Rolling Stone’s list of 100 Greatest Guitarists of All Time, landing a coveted spot of number 20. Fun fact: Carlos was introduced to music at a very young age. His father, Jose, was an accomplished professional violinist. Carlos also learnt to play the guitar at the tender age of 8! Best known for her work on TLC’s LA Ink, the tattoo artist gained the Guinness World Record for the most tattoos given by a single person in 24 hours in 2007. Her family moved to Los Angeles when she was 4 where she grew up in. Kat credits the Latino culture of Los Angeles and her grandmother for their influence in her tattoo style and art. Fun fact: At the age of 6, Kat started training classically in piano and states that she particularly appreciate the works of Ludwig van Beethoven! Born in Mexico City, Frida was a Mexican artist known for her self portraits. At the age of 18, she got involved in an accident with left her with serious injuries. As a result, her recovery process prevented her from leaving the house. This isolation influenced the majority of her artwork, which she paints herself. She once said, “I paint myself because I am often so alone and because I am the subject I know best”. Fun fact: She was the first 20th century Mexican artist to have their work purchased by The Louvre, an internationally renowned museum in France. They are the famous people from new Mexico. And speaking of mexico, don’t forget the mexican poncho for you costume! It’s comfy and hippe! You can find one here.